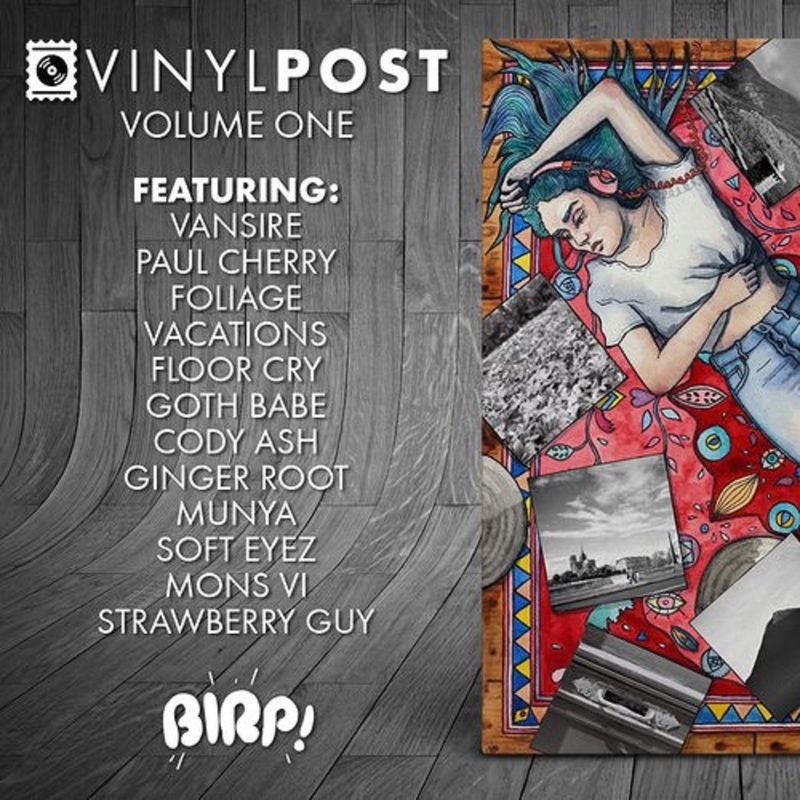 Fellow music enthusiasts and eclectic music curators over at BIRP.fm started an incredible vinyl subscription service/record club last year, Vinyl Post, for which every month they put out a limited-edition 5" x 7" vinyl postcard, playable on your turntable and featuring a single from an upcoming act that the site selected. As an expansion to that, BIRP.fm now introduces a new series of vinyl compilations centered around those kinds of indie lo-fi, dreampop and shoegaze-y sounds that D//E is also very keen on. Volume One is going to include an impressive array of bands. Vansire, VACATIONS, Foliage, Paul Cherry, MUNYA, Ginger Root, Soft Eyez, Mons Vi, Strawberry Guy, FLOOR CRY, Cody Ash and Goth Babe, all contribute to the series first release, the future of which depends on the funding. There is a very well detailed Kickstarter campaign where you can find more information. In any event, Volume One is happening, and expected at the pledgers' doorsteps February 2019. Stream the carefully selected entire set of songs that comprise Volume One right below, and consider supporting this tasteful and well thought out project.